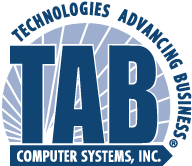 TAB’s Hands Free - Worry Free Backup does just that, takes the worry out of your backup. This service provides a complete cloud and local server backup. Giving you a disaster recovery solution and off-site backup solution in one. Powered by StorageCraft, our hands free - worry free backup solution allows you to continue to operate when faced with an adverse situation. An important part of your NIST 800-171 DFARS Compliance. The data center for your offsite backup uses the Cloud Security Alliance Cloud Controls Matrix ("CSA CCM") as its recognized enterprise framework for adhering to and implementing a comprehensive information security management program. The CSA CCM is aligned with other major frameworks and applicable mandates, including; ISO/IEC 27001; NIST SP800-53; HIPAA-HITECH; PCI DSS; FedRAMP (the U.S. federal government's cloud framework); and AICPA (creator and certifier of SSAE 16). Someone gains unauthorized access to company data and deletes files. An important part of your NIST 800-171 DFARS Compliance.